Following the release of their bright and upbeat first single Better, Winterbourne today share a live video of the first offering from their forthcoming debut album. Filmed live at a Performance Studio in St. Peters, Sydney, the video was directed and shot by the talented Jarrad Seng with the assistance of his collaborator Jamie Mcvicker. The track was recorded and mixed by the band’s long-time friend and engineer Jackson Barclay. 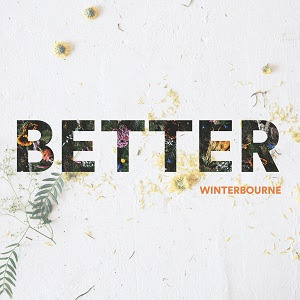 Honing in on their reputable and distinctive live presence, Winterbourne’s leading creative perfectly captures the spirit and energy of the band, and offers a thrilling insight to the album to come. After years of honing their craft in the studio and on stage, James Draper and Jordan Brady recorded their debut album over a six-month period at La Cueva, an idyllic, remote studio in Byron Bay, as well as a few stints at The Grove. Winterbourne worked with their self-appointed musical dream team consisting of producer Andy Mak, engineer Jackson Barclay and multi-instrumentalist Thom Mak.